DISCLAIMER: IF YOU ARE A FRIEND OR FAMILY MEMBER DO NOT SCROLL DOWN... THE FOLLOWING PICTURES ARE WEDDING RELATED AND A SURPRISE...TURN AWAY NOW. 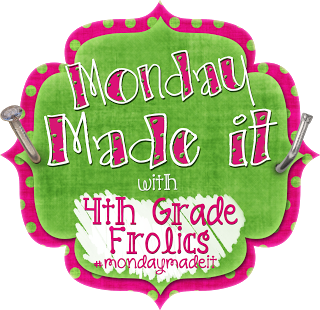 I'm linking up with 4th Grade Frolics to showcase my Monday Made it! 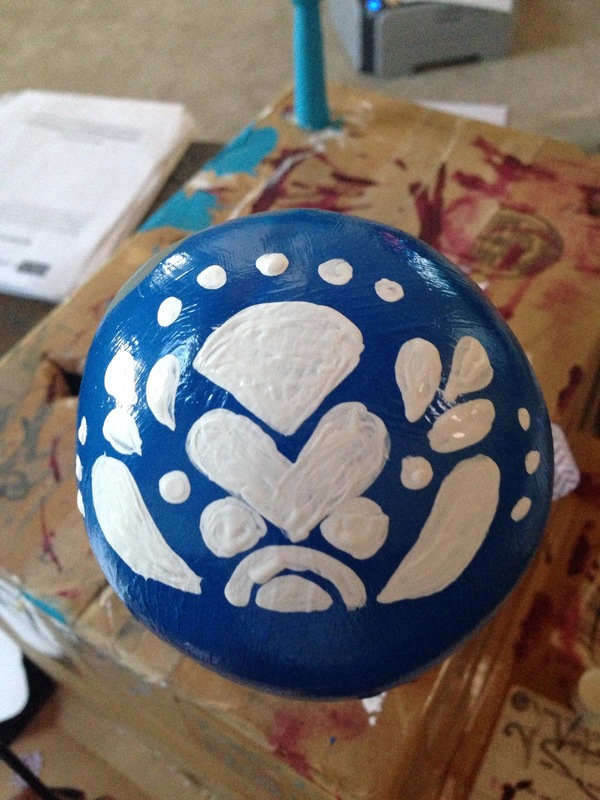 If you're still with me (and not coming to my wedding) I spent the whole weekend working on maracas. 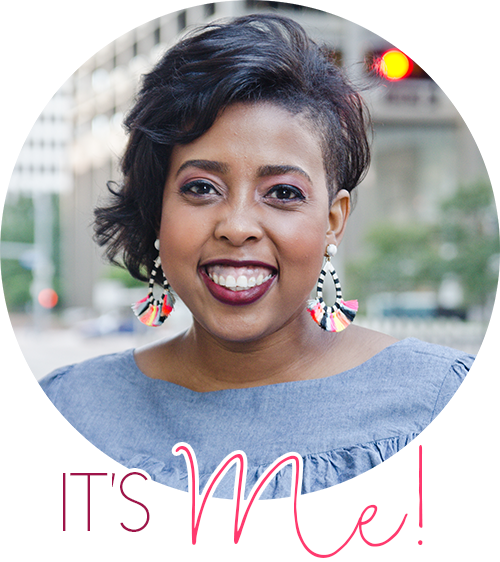 I grew up in Texas and wanted some element of Tex-Mex culture in my wedding. 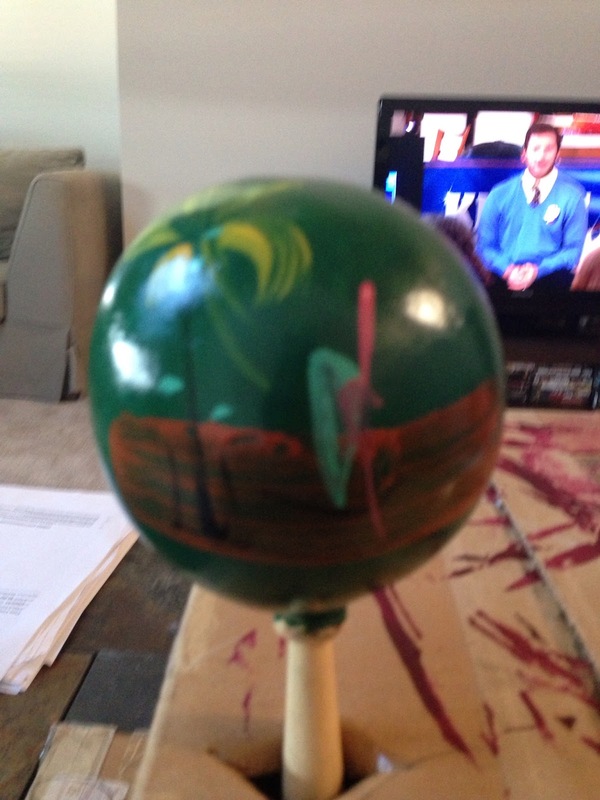 So...I saw some amazing decorated maracas on the internet....When I contacted the companies they all had reasonable prices but wanted to charge almost $200 in shipping (Two of the companies are located in Mexico). Well, my mom found some maracas for about $1.50 a pair. She got them shipped for free...but they weren't decorated...well, they looked like this. So after a primer and a color coat they look like this. I LOVE this blue!! It's so rich and pretty. 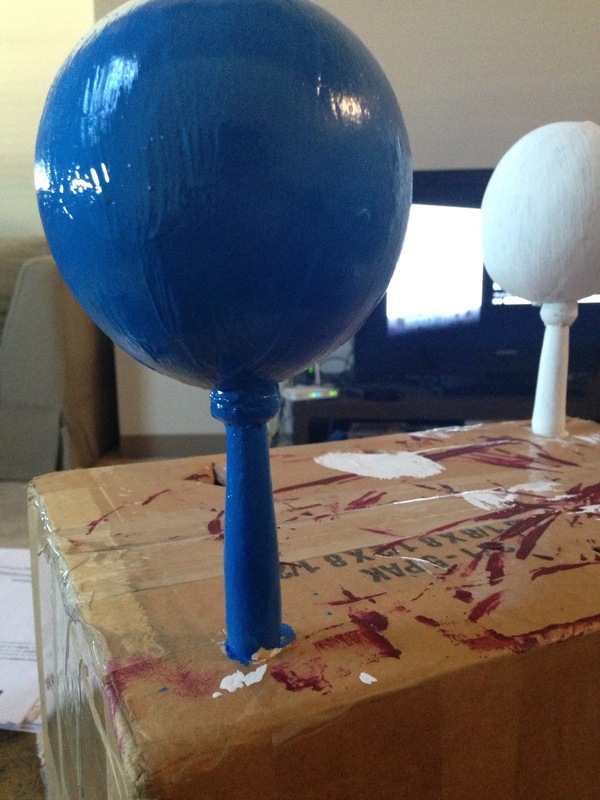 You can see another maraca in the background with the primer on. 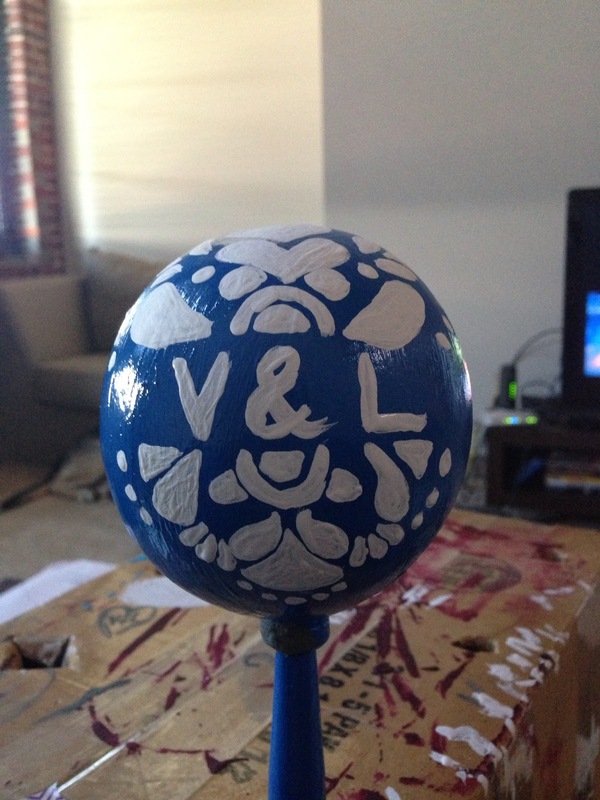 Next, my maraca needed a little personalization and I had no idea what to do...so I looked online at what the other companies did and thought...I can do that...sort of. And BAM! My first maraca! I think it came out great for my first time!! BUT...I think these will be a great wedding favor. I need to add a gloss spray over them to make sure the paint doesn't chip off. I'm also going to add a tag that says something cute like, "Shake to see us Kiss". 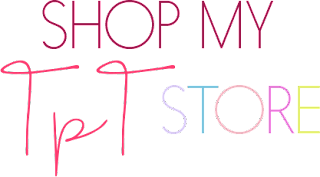 If you have any suggestions let me know...If I choose your idea..you can choose any item from my Tpt/TN store! Leave a comment and your email address below. Now...on to my bought it. Y'all know I love to shop. It's ridiculous how much I love to buy things...anything. Well, I wanted a little something special to start the new year! I wanted more than just a new outfit...I wanted something that would last (hopefully) the entire year. So, I went to my top 5 favorite things to buy. 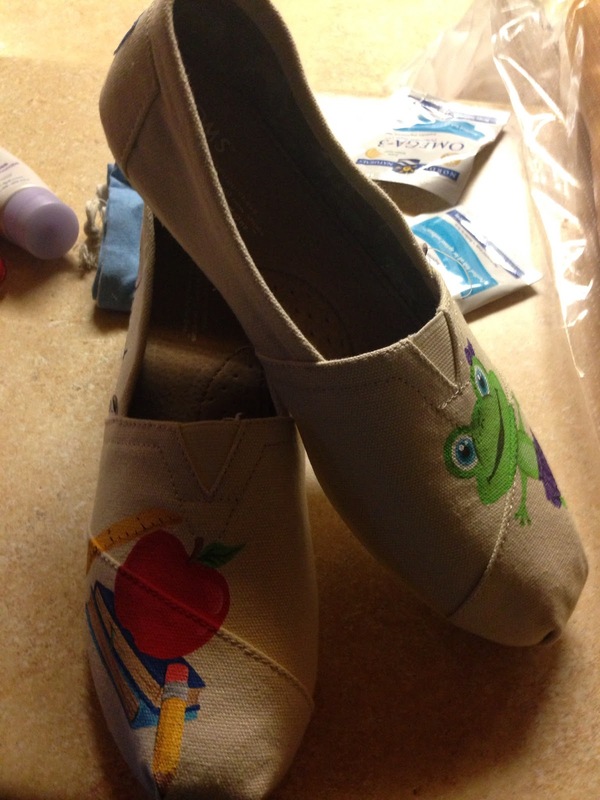 Food won't last very long around me...and crafts come and go...purses do too and well that really only leaves shoes. 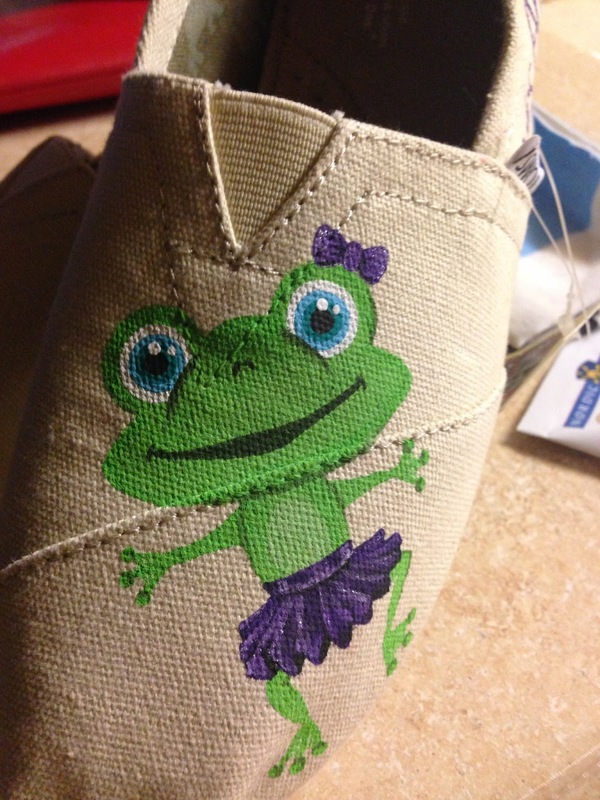 But...I do know what I'd want on a pair of TOMS for Back to School!! And on one side of the shoe it says kindergarten and on the other side of the other shoe it says my new last name (which I'm still having issues with because someone doesn't "believe" that I should hyphenate). On the heel reads the name of my school. Y'all these are too cute and will be perfect for the first day of school. Here's the link to her store. 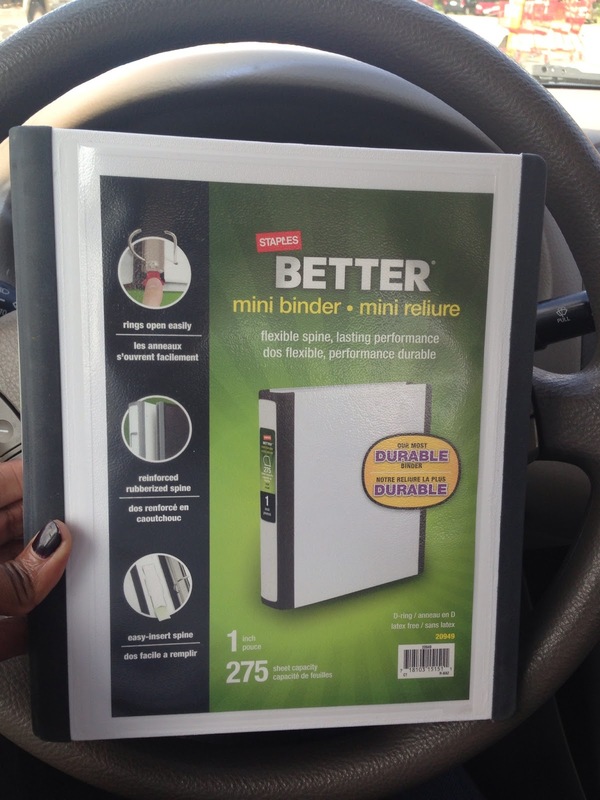 If you do...you'll remember that I purchased these lovely binders from Staples for $1.00 (technically .85 because I used my savings card). 10 out of 10 for commitment to task! 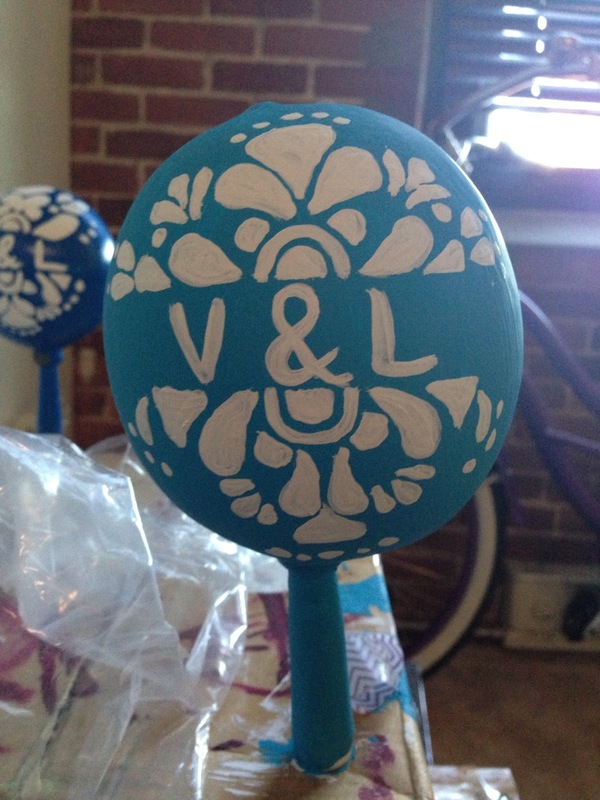 If you are but half as committed to your marriage as these amazing maracas your life will be joy filled. Your shoes are adorable...great decision! You are going to have a fabulous year. Precious shoes! Those maracas are going to be FUN! Love the maracas! That will definately bring your wedding into par-tay mode and your shoes are to die for. Love it.